The University of Alberta and the ABMI launch the Bioacoustic Unit! The Bayne Lab at the University of Alberta and the ABMI’s Application Centre are pleased to announce a new partnership: The Bioacoustic Unit! Many people are concerned about their environment and the wildlife in it. However, for many wildlife species we don’t have the information we need to make informed decisions about natural resources and land use. The Bioacoustic Unit is a great opportunity to bring ecological monitoring into the 21st century and provide that information. Through new technologies we’re inventing, more people will be able to access information, contribute data, and learn about wildlife populations. Putting this information all in one place and developing new ways to extract the most information possible will lead to more efficient and informative environmental monitoring. The Bioacoustic Unit monitors vocalizing wildlife species such as birds and amphibians. To do this, researchers use automated recording units, or ARUs as they’re commonly known, to record the sounds made by wildlife. The data can then be used to assess whether a species is present at a site, estimate its abundance, and develop statistical models of its habitat use and distribution. 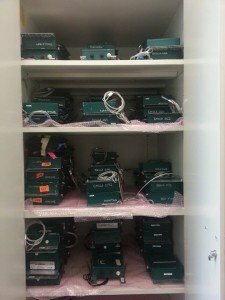 At its unique location at the University of Alberta, one of Canada’s top universities, the Bioacoustic Unit is conducting cutting-edge research to improve methods for collecting acoustic data to better understand wildlife communities. For example, Bioacoustic Unit graduate students and other researchers are studying the impacts of industrial noise on owls, and the effects of forest fire severity on bird communities; they are also developing statistical techniques to estimate bird density from acoustic data. Meet the research team here! I am very excited to join this team of dedicated professionals. We are combining traditional field research with cutting edge technology to answer key questions about wildlife populations. The Bioacoustic Unit also offers a suite of services for clients undertaking wildlife studies. The Bioacoustic Unit deploys ARUs, processes and stores acoustic data, and reports on the results. 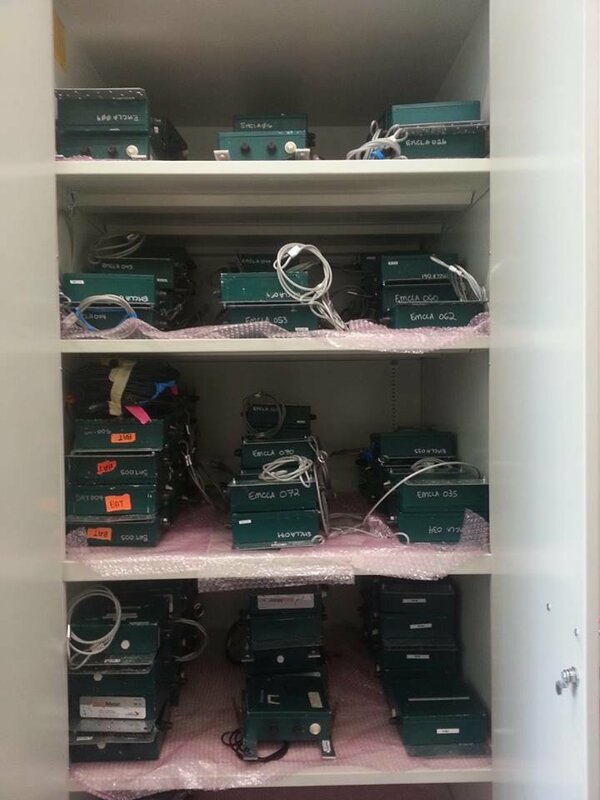 The Bioacoustic Unit also supports clients wishing to do some or all of this work themselves, and has developed standardized protocols for deployment and processing. Or all of the above! ARUs stored at the University of Alberta. efficiently and effectively translate audio recordings into species identifications. The Bioacoustic Unit has also developed automatic recognizers for several species; these recognizers can quickly process audio files to detect a species of interest. Because standardized and shareable audio data can be pooled across regions and study areas, Bioacoustic Unit clients are encouraged to follow standardized protocols and contribute data to the Bioacoustic Unit’s publicly available data set. However, because confidentiality issues may preclude full public access, we are also developing private data uploading capability, where clients can confidentially add their data to a larger dataset, which can vastly improve the power of statistical analysis and modelling. Learn more about the team, services, and the wealth of resources available. It’s our nature to know. This phrase—the ABMI’s tagline—says a lot about who we are and what we do. It’s also the name of this blog, where we share the factual story of Alberta’s diverse natural world. We chronicle our work in the field as we track the status of over 2,000 species: from mites to moose and lynx to lichen. But this is not the whole picture. Join us as we look at nature from below the ground, above the stratosphere and everywhere in between. Our ‘World Beneath Our Feet’ feature series leans in close, magnifies and investigates the many vast, thrilling and biologically-rich miniature ecosystems that exist underfoot. We are pleased to shine a light on these under-appreciated worlds and the people that dedicate their lives to studying them. The ABMI is a global leader in biodiversity monitoring. We track changes in Alberta’s wildlife and their habitats from border to border, and provide ongoing, relevant, scientifically credible information on Alberta’s living resources. For our province’s land use decision-makers. For Alberta’s future land stewards. For Albertans. Visit us at www.abmi.ca.